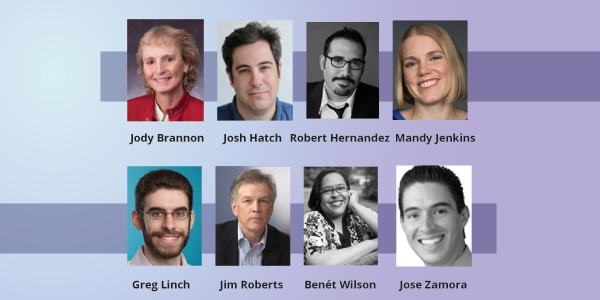 WASHINGTON, D.C. — Members of the Online News Association (ONA), the world’s largest membership organization of digital journalists, elected one new member to its Board of Directors and reelected six incumbents to two-year terms. The newest director — Jose Zamora, Vice President of Strategic Communications, Univision Network News — will join the Board Jan. 1, 2015. The six re-elected members are: Mandy Jenkins, Editor, Storyful’s Open Newsroom; Jody Brannon, Digital Media Consultant and ONA Vice President; Robert Hernandez, Assistant Professor of Professional Practice, University of Southern California Annenberg School for Communication and Journalism; Greg Linch, Local Projects Data Editor, The Washington Post; Jim Roberts, Executive Editor and Chief Content Officer, Mashable, and Benét Wilson, Co-Editor-in-Chief, AirwaysNews.com. A 15th seat, appointed by the Board to help meet the organization’s financial goals, will be filled by Josh Hatch, ONA Treasurer and Senior Editor for Data and Interactives, Chronicle of Higher Education, who was up for re-election this year. Josh, who also chairs the Legal Committee and Online Journalism Awards Committee, “is unanimously considered an invaluable director who has moved forward critical policy for ONA, monitored our budgets and redefined excellence for the OJAs,” said Artley. Serving out their current terms are Jim Brady, CEO, Stomping Ground Inc.; P. Kim Bui, former Senior Producer, Breaking News, Digital First Media; Eric Carvin, Social Media Editor, The Associated Press; David Cohn, Executive Producer, AJ+; Jennifer Preston, Vice President for Journalism, John S. and James L. Knight Foundation, and Steve Herrmann, Editor, BBC News Online, The BBC, appointed as an international member. Richard Koci Hernandez, Assistant Professor New Media, UC Berkeley Graduate School of Journalism, will leave the board at the end of the year. At the close of voting, 281 voters — representing 12.08 percent of ONA’s eligible membership of 2,327 at the time of vote start — cast 1,620 votes.